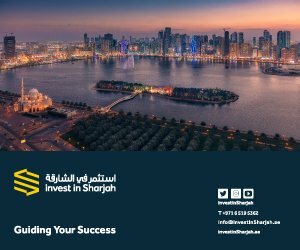 The ‘Invest in Sharjah’ brand is taking to the air following an agreement between Sharjah FDI Office (Invest in Sharjah) – the FDI office operating under the government of Sharjah – and Air Arabia, the first and biggest low-cost airline in MENA region. 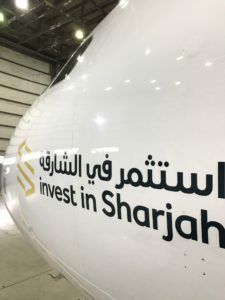 Under the terms of the agreement, Air Arabia will place decals of the Invest in Sharjah logo on its planes and operational hubs across multiple destinations in three continents, including GCC countries, India, Morocco and Europe. HE Marwan bin Jassim Al Sarkal, CEO of Sharjah Investment and Development Authority (Shurooq) has welcomed the agreement, highlighting the significance of such an initiative that supports Sharjah’s economic brand globally.“We look at “Air Arabia” as one of Sharjah’s top factors that contribute to our economic and investment growth, making it a true ambassador for investment promotion opportunities for the emirate. 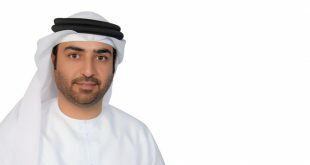 Its operational hubs are strategically located in some of the most highly active markets, which affirms that this partnership is one of the strongest milestones for both Sharjah and its economy,” he explained. “As the most successful low cost airline in the region based in Sharjah, Air Arabia flies to numerous destinations across the world. We are delighted to place the Invest in Sharjah brand on our planes, in alignment with our objective to promote Sharjah’s potential globally. We are proud that Air Arabia started from Sharjah and now has hubs across the region – by promoting Invest in Sharjah we are supporting Sharjah government’s aim to highlight the emirate as a preferred destination for global investment,” Al Sarkal added.The placement of the Invest in Sharjah logo on Air Arabia’s planes aims to raise awareness among investors about the importance of the brand, which is the fruit of Shurooq’s intensified efforts to promote Sharjah as the premier investment destination in the Middle East, in alignment with the vision of the emirate’s leadership. 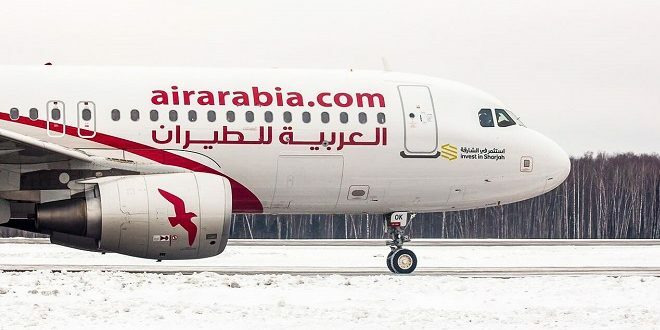 The placement will also include Air Arabia’s three major operational hubs, which include Sharjah International Airport in Sharjah, UAE; Mohamed V International Airport in Casablanca, Morocco and Borg El Arab International Airport in Alexandria, Egypt. “Air Arabia supports Sharjah’s investment sector through carrying businesspersons to and from Sharjah to explore investment potential. Our planes also play an important role in enhancing business tourism through flying investment delegations to participate in economic activities and conferences which Sharjah hosts every year. 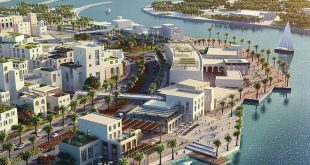 We expect our new agreement with Invest in Sharjah to strengthen our role in this field,” Al Ali added. “Sharjah’s strong economic foundations, as laid by the directives of His Highness Sheikh Dr Sultan Bin Muhammad Al Qasimi, Member of the Supreme Council Ruler of Sharjah, are based on strengthening integration and collaboration with government entities and systems and this agreement exemplifies our commitment to this wise approach,” said Mohammed Juma Al Musharrkh, Director of Invest in Sharjah. 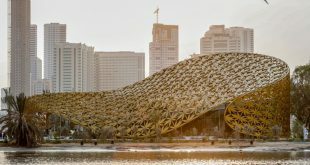 “Sharjah is strategically located at the intersection of three continents, within a four-hour flight of one-third of the world’s population and an eight-hour flight of two-thirds of its population. It is a crossroads that connects East and West and this advantage is important for companies that aim to target Asian markets in the East and North African and European countries in the West. We look forward to achieving positive results at all levels through our new promotional campaign,” he noted. The agreement between Shurooq and Air Arabia enhances the collaboration that started two years ago when both sides signed an MoU. 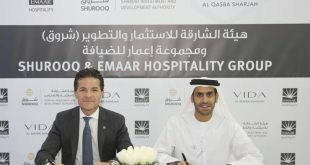 The agreement was formulated to promote business projects and brands that started operations in Sharjah and which aimed to expand their presence globally.